Feeling Down? It’s Time to Skate Around! Are you feeling a little blue? It happens to all of us at one time or another, and the most common tendency when this happens is to rid ourselves of it as quickly as possible. There are many ways to do this and some offer a less healthy approach like indulging in too much food. But did you know that studies show an increase in levels of happiness with regular exercise? Maybe that’s why roller skating puts a smile on all of our faces! Take a look at the science behind what physical activity does to our happiness! Need a little happiness in your life? 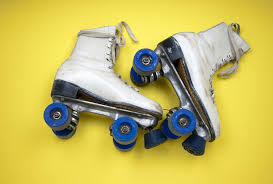 Make your way down to Wheels Skating Center in Odenton, MD and skate your way to a happier you! Check out our hours!